The Enchanted Ornament is an exciting and safe air supported vinyl ornament that allows anyone to enter and experience the magic of being inside! Air is continuously blowing throughout your event to keep the ornament inflated even when the door is open. A brand new steel arch is built into the framework of the ornament which reduces the amount of deflation upon entering and exiting. 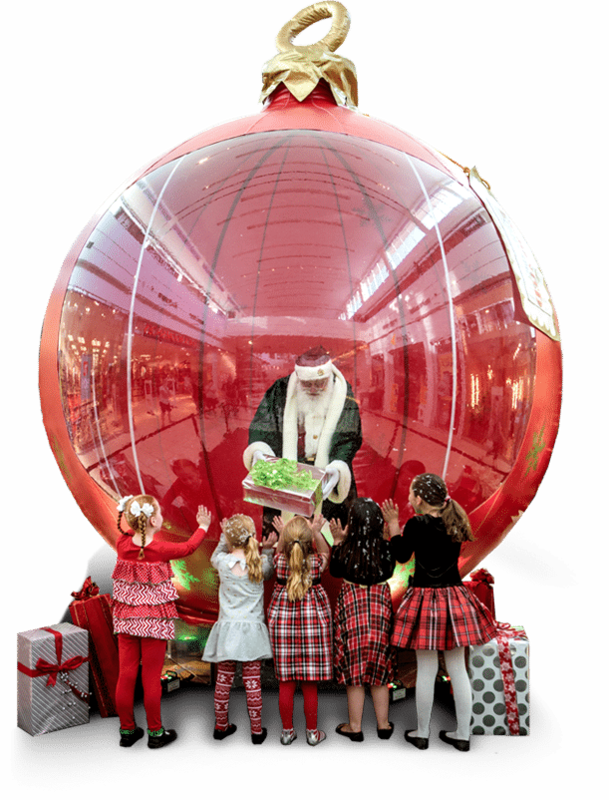 Within seconds of the door being zipped shut again, you will have a fully inflated ornament ready for playing!